When you have all needed projects set and social accounts integrated, you can start responding on mentions directly from the tool. Each conversation in the SentiOne system is called a thread. 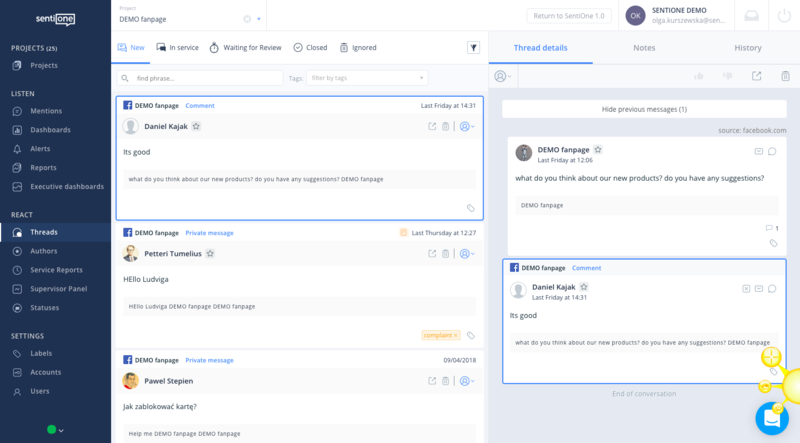 And the workspace where you can reply directly from the tool to each mention on every social channel, is called Threads module. The process of servicing the threads goes through different stages: new, in service, waiting for review, closed. Our tool supports thread management process which can be customised per a customer with configuration of projects, teams and advanced routing. All new threads can be visible in “New” tab. All threads assigned to specific team or user are available in the “In service” tab. How do companies work on Threads? 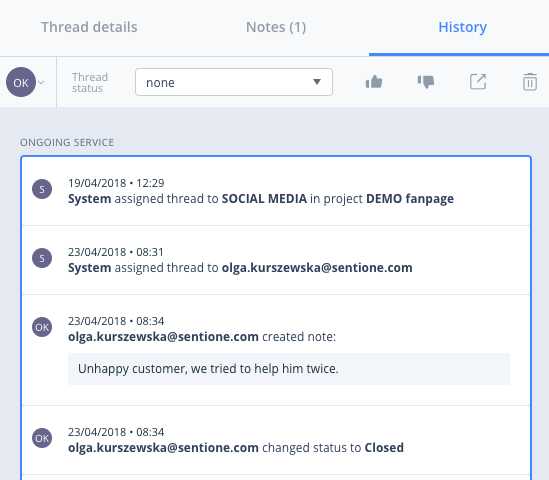 The online customer service processes are different in every company but there are some similarities by which we advice to work on in the Threads module. User B closes thread with the proper status. 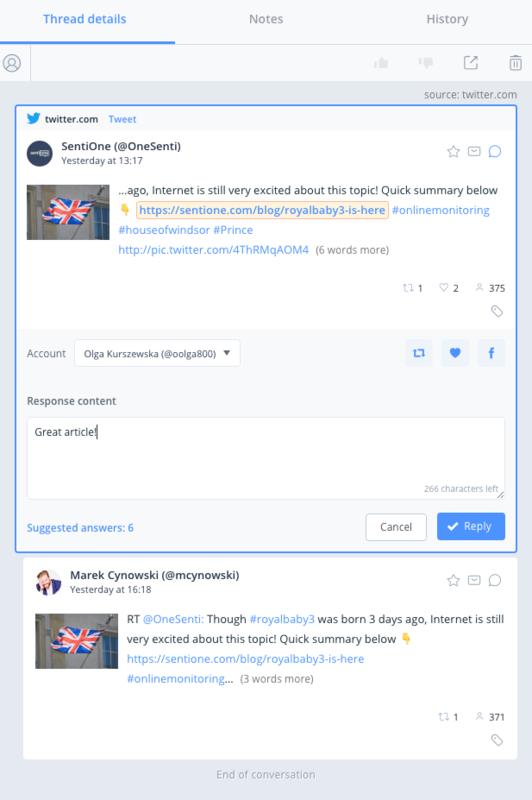 Each user can open his project and reply to threads in the “New” tab (or tag/ignore them) - when he replies, the thread is assigned to him automatically and goes to “In service” tab. Routing functionality assigns new thread automatically when he doesn’t have other threads in service. Then, he can address the assigned thread directly from the tool. How company, teams, and users work is really up to the process you set. SentiOne tool makes it possible to adjust functionalities that support flow required by our client. What does Thread History present? While writing a response, it is very often important to understand what happened with the thread before, e.g. who or which team was assigned in the first place, what were the previous statuses and conversations with the mention author.